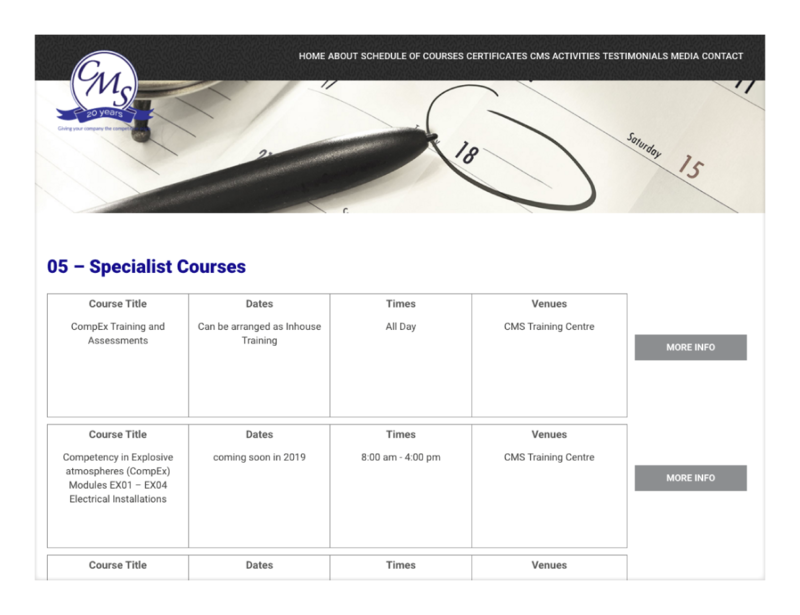 The CMS Training Centre first got in touch with us back in 2015, with the purpose of going through the prospect of designing a new website for them. They were very cautious at first, due to the time and money they had invested in their older website as well as because of its sheer volume due to the constant addition of information to it over the years. The challenge for us was simple: First convince them that they were in good hands and that they should stop worrying (! ), and second, find a way to include all of that information in a modern, intuitive and user-friendly design! 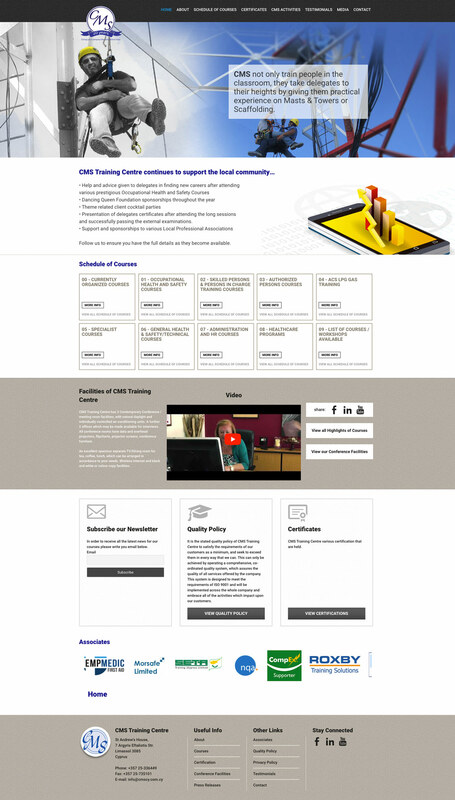 After having gone through their requirements and their content-heavy older website with meticulous attention, we proceeded with an agreement for a course of action that would lead to the design and development of a brand new website for them, one that would take them well into the future with the latest trends & technology in mind. Feel free to see the result! Thank you for your excellent cooperation during development gals!